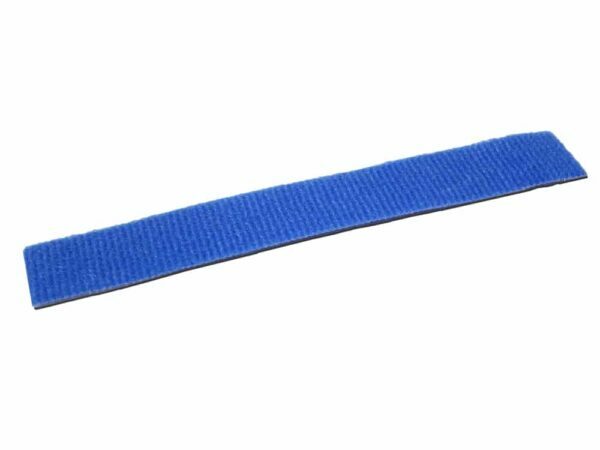 The SPEEDWRAP® Brand FIBERtie™ product line includes cut-to-length tapes and fabricated cable ties. These hook and loop fasteners offer a reusable and adjustable cable management solution. The self-gripping fastener’s unique design enables the installer to quickly wrap the tie around a bundle of fiber optic cables and then onto itself for a safe and secure hold. Gentle on fiber optic cables. FIBERtie™ Fasteners are made from back-to-back hook and loop materials laminated without adhesives so there is no chemical residue and the product will not delaminate during use. These industrial grade hook and loop ties can be cycled (opened and closed) hundreds of times. Available in Teal (Aqua), Maroon* (Cranberry), Blue, Yellow, Orange and Violet (Purple). Teal (Aqua) - OM3 or OM4 Cables. Yellow - Single Mode Cables. Orange - OM1 or OM2. SPEEDWRAP® FIBERtie™ Fasteners are made from VELCRO® Brand ONE-WRAP® – polyethylene hook laminated to a nylon loop. Standard in Teal (Aqua), Maroon, Blue, Yellow, Orange and Violet (Purple). Other colors available by special request. Standard Packaging: 10/Bag and 100/Bag. *Maroon (Cranberry) Plenum FIBERties are made from VELCRO® Brand ONE-WRAP® – polypropylene (FR) hook laminated to an FR treated nylon loop. Standard in both Cut-To-Length Tapes and Pre-Cut Ties.